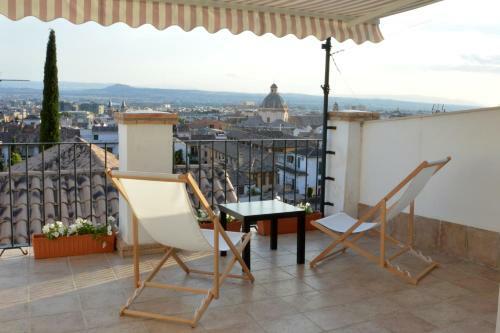 Featuring air conditioning, Casa Príncipe is located in Granada’s central Realejo neighbourhood. Set a 15-minute walk from the beautiful Alhambra Palace, the property offers studios and apartments with modern décor. This hotel is 648 metres from the Alhambra entrance, 546 metres from Plaza Nueva (the absolute centre of Granada), 2109 metres from the train station and 3510 metres from the bus station.